Quick-Disconnect (QD) Bushings are bushings to make the same sprocket or pulley compatible with multiple shaft diameters. 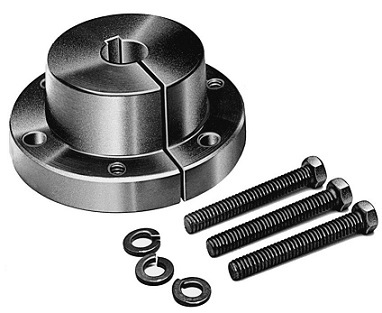 They fit quick-disconnect (QD) sprockets and pulleys of the same bushing style. As you tighten the included cap screws, the bushing grips the shaft and pulls it into the sprocket or pulley. Bushings are steel or cast iron. Bushings with a shallow keyway come with a key.If you’re not sure Contact Us.